Sometimes it’s just not possible to be riding a bike. Sometimes you just have to sit down and eat dinner, watch TV with your partner and do all manner of household chores. 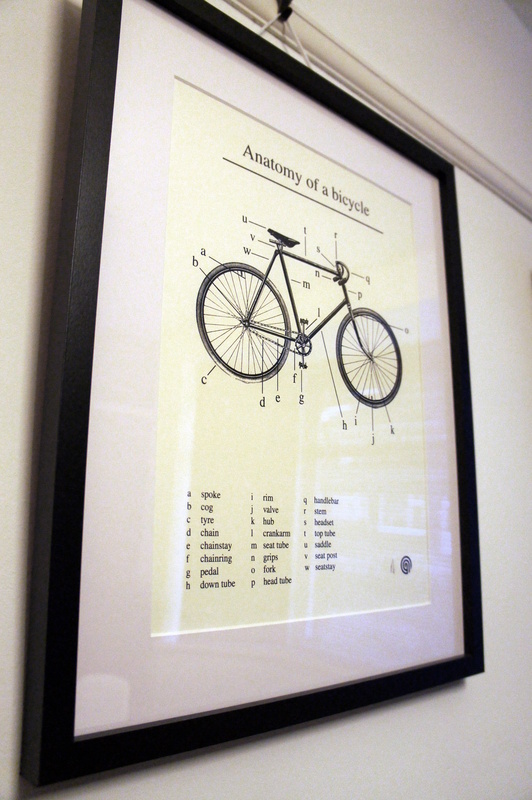 By decorating your home with bicycle related images or paraphernalia you can keep you mind focused on your obsession. Next time you hear “I think we should redecorate”, don’t think about the time out from your training schedule, think about how many bicycle related items you can squeeze into the room. Some of them can be really subtle, but you’ll know why you chose the Quick Step laminate flooring over alternative brands, and why you chose the more expensive Mapei grout and tile adhesive. Choosing cycling sponsored brands is one way to add a touch of cycling to your home, your partner will never know, but you will, and everyday you’ll think “I love my cycling themed bathroom/kitchen, I think I’ll go out on my bike”. For those of us with partners more welcoming to our obsessions, the bicycle’s form has become quite fashionable of late in the interior design world. So it’s currently possible to go completely overboard with bicycle wall paper, cushions, mugs, slippers and even bicycle print pyjamas. If anyone has gone this far I’d love to see a photo. 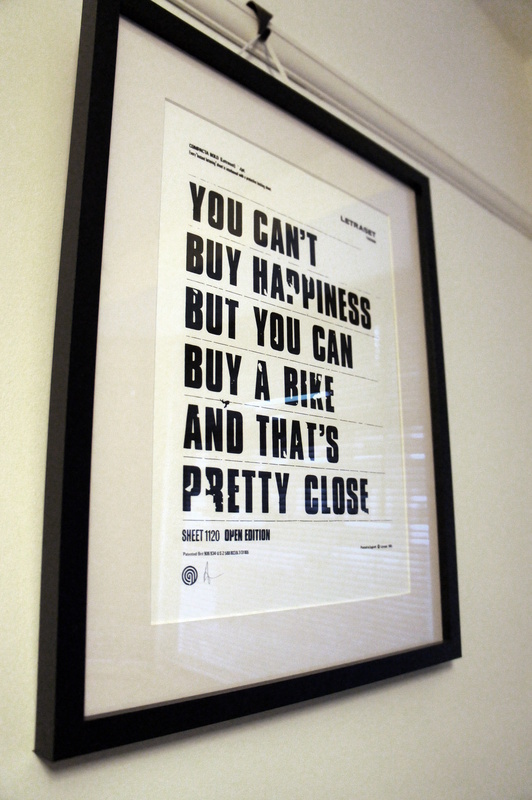 The two photos above are of two high quality signed screen prints by Anthony Oram. Great quality work, good thick paper and classic black and white prints that should stand the test of time. Also worth checking out is the King of the Kitchen tea towel, to add a touch of joy to the most mundane of jobs.